Helping kids form healthy habits now can help them develop and maintain a healthy lifestyle in the future. The Cent$ible Nutrition Program (CNP) is vested in kids’ health and partners with early childhood education centers, elementary schools, and after school programs to offer direct education using youth curricula and to implement healthy choice interventions. In 2018, CNP began working with youth partners to implement physical activity interventions in the form of playground stencils. 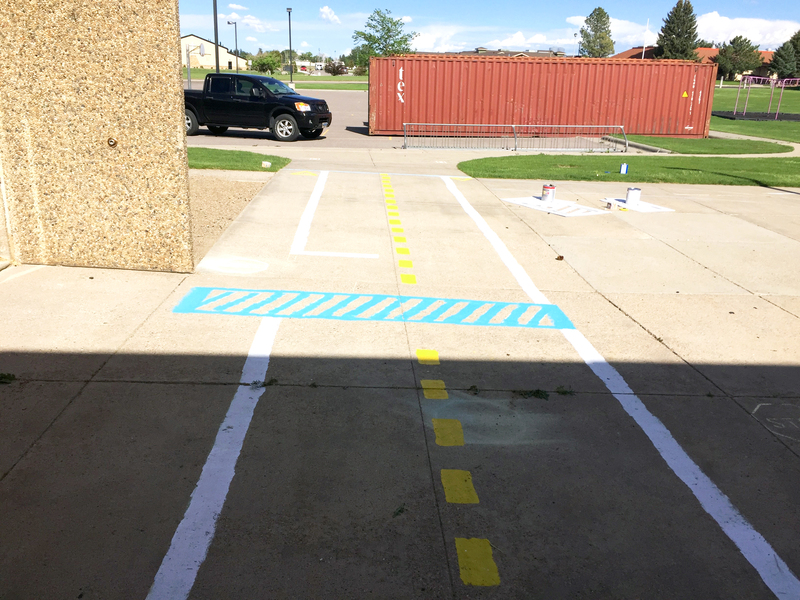 This stencil project, made possible by a partnership with the Wyoming Department of Health- Chronic Disease Prevention Program, aims to encourage more physical activity by providing a variety of activities that kids can do on their own and with friends. To date, the stencils have been painted in five locations around the state: Lovell, Laramie, Wheatland, Casper, and Riverton. In each setting, the stencils were painted by a variety of volunteers including parents and teachers in Laramie and Riverton, the Wyoming Challenge Academy in Wheatland, and AmeriCorps VISTAS in Casper. So far, the stencils have been a success. The stencil roadway is a big hit at Basic Beginnings as is hopscotch. One of the girls said hopscotch was her favorite and she did not know how to play until her teacher showed her. Now she uses it all the time. 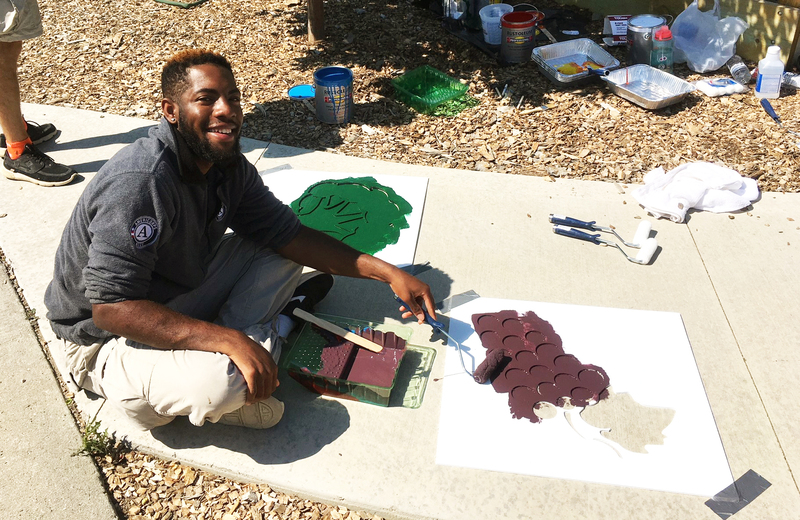 The children also like to make up their own games with the insects, animal, and reptile stencils, notes CNP educator Abby Rux in her observations. They may hop over the frog or pretend to fly over the duck. 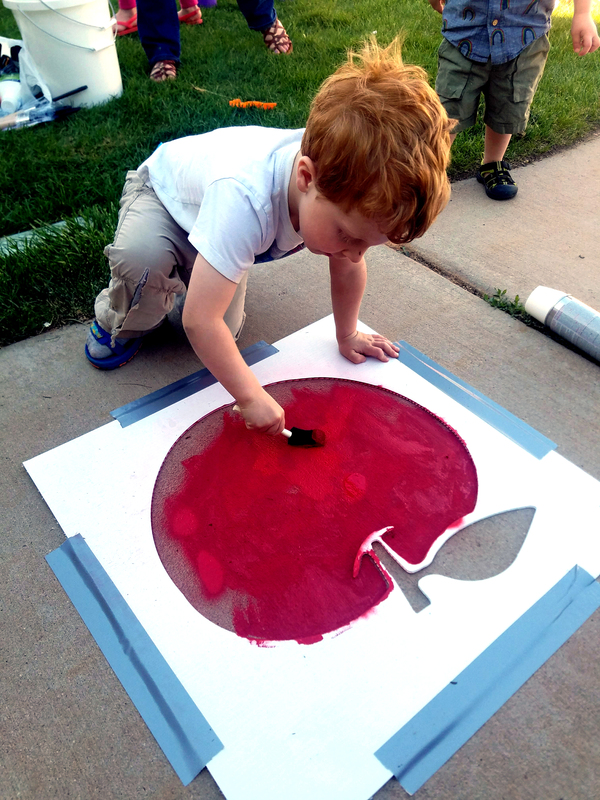 In Casper, the stencils were installed at the Wyoming Food for Thought Project (WFTP) community garden. In additional to providing new physical activities, the stencils have also been used as teaching tools. Teachers at Basic Beginnings are using the crosswalk and road signs for educational purposes and real life situation examples. The teachers have the students draw sidewalk chalk faces on the fruits and vegetables and then talk about eating more fruits and vegetables. WFTP uses the stencils to teach about vegetables in the garden. “We used them as a teaching tool to share what certain veggies look like and share that not all peppers are green,” Purcell said. The Physical Activity Guidelines for Americans recommends that children should participant in at least 60 minutes of physical activity a day. 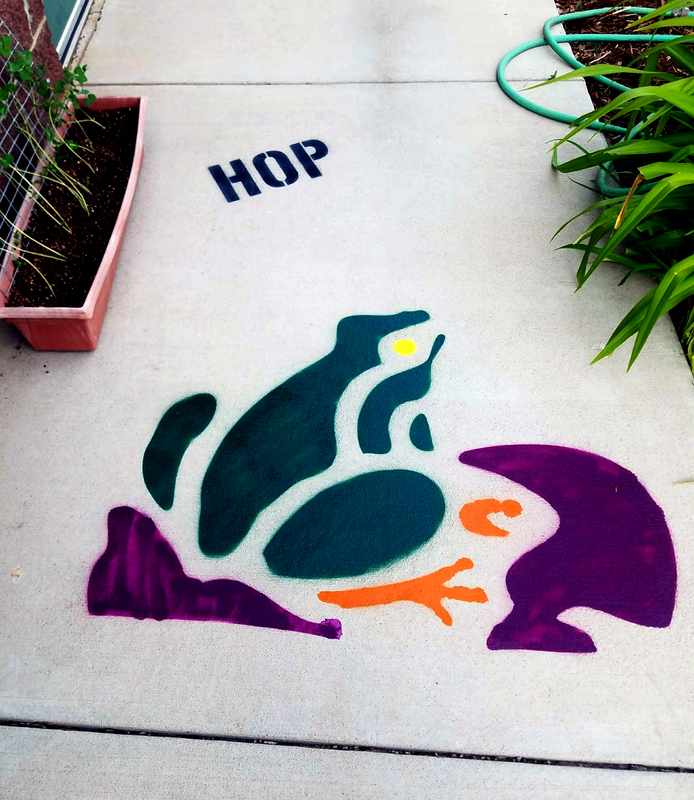 These stencils offer children the opportunity to play in new and engaging ways.